Categories: Christmas Collection 2018, Christmas Hampers. 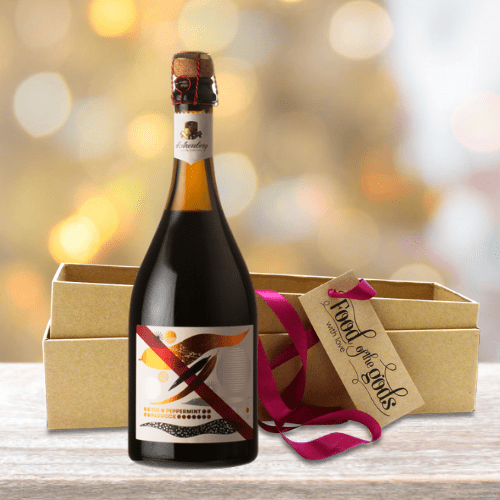 Our Luxury Christmas Hamper is brimming with sumptuous award winning champagne, port and French wines produced sustainably and the very best of British artisanal food traditionally enjoyed over festive season. This hamper is the perfect gift of appreciation for family, staff and clients alike. Presented in a quality Wicker Hamper, Ribbon and Personalised Message Card. Award winning champagne, Jacquart Mosaique has a light, golden yellow colour with fine, long-lasting bubbles. The bouquet is lovely and fresh with fruity grape and pear hints mingling with intense notes of bread crust. Fresh and rather powerful on the palate creating a balanced overall impression with a lovely, long-lasting finish; spice bread and fruit flavours. This late bottled Vintage shows brooding black cherry fruit with a huge cedary core. A simple wine with a fine dark colour, ripe and mouth filling and rounded off by sweet finish. Perfect at the end of the meal on its own is lovely. Also with blue cheeses or sweet chocolate puddings. On the first nose, very present red fruit flavors, after aeration, to notes of fresh eucalyptus. This very flattering set in the mouth is combined with fine and silky tannins. We will retain from this cuvee its delicacy (nice sweetness), its generosity (density and structure) and especially its charm, elegance and finesse. Light gold colour, expressive nose of stone fruit and floral notes. A new smoked salmon from Hebridean that is prepared with wood smoke and a hint of peat as an alternative to their 100% Peat Smoked Salmon. The starting point for this lovely product is the finest quality Altlantic salmon grown for Hebridean in the cool clean waters that surround their island home. In common with the Peat Smoked Salmon, complicated or novelty flavourings have been avoided and the fish is simply smoked with wood chippings from beech and the subtlest addition of local cut peat. The result is a rich smoked salmon with a hint of sweetness that is best enjoyed on its own or with traditional accompaniments used sparingly - an equal mix of creamy horseradish and crème frâiche is excellent. 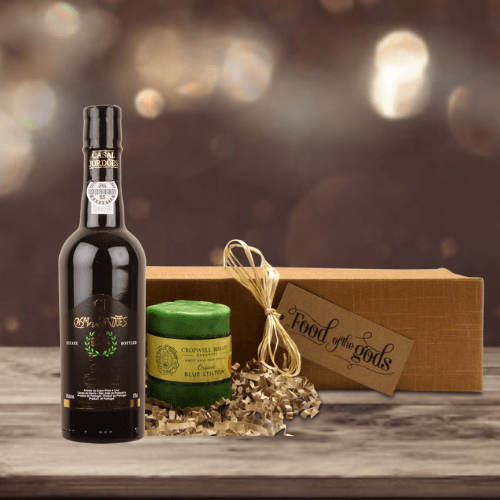 At Food of the Gods every Christmas Food Hamper is filled with the best artisan, organic and sustainable food and wine to enjoy over the festive season. 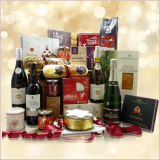 Select your Christmas Food Hamper for delivery to the UK, Europe and International Delivery. At Food of the Gods not only are we passionate about food and wine that tastes delicious and produced using the highest quality ingredients but we are also caring about the environment and firmly believe in sustainable food production that is kind, caring and nurturing to our planet along with high welfare standards for animals. At Food of the Gods, we understand how important presentation is when it comes to gifting. We are also aware of the impact of packaging on the environment and to that end we are committed to using sturdy, stylish and eco friendly gift boxes, sustainable baskets, hampers and recycled and recyclable packaging materials without compromising the presentation of our gifts and hampers.